Four trophies plus the Leigh Johnson Perpetual Trophy are presented to Outright winner of the Southern 80. Leigh was an enthusiastic foundation member of the Moama Water Sports Club who saw the potential of the Murray River for recreational purposes. The Johnson family donated this prestigious trophy in memory of Leigh, who in 1978 was tragically killed in a car accident. 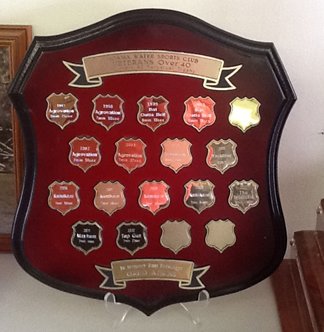 In 2013 the trophy was replaced with a red gum trophy, to continue the tradition. 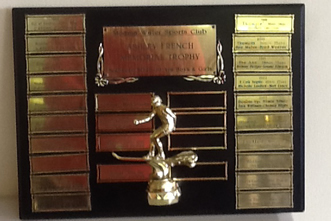 The fastest team from either the Under 19 boys or Under 19 girls will take out the Ashley French Memorial trophy, presented by the French Family. 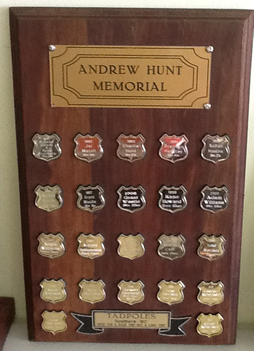 The winner of the Under 10 Tadpoles class, recieves the Andrew Hunt memorial shield donated by the Hunt family. Awarded to the winning boat of the Veterans Class. 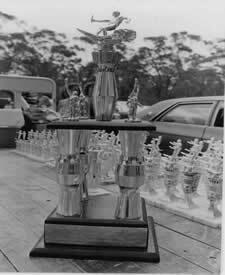 Any team competing in the Southern 80 for the first time is eligible to win the Rookies Trophy. One trophy is awarded to the fastest social team competing in the social classes. The fastest Local boat recieves one trophy.